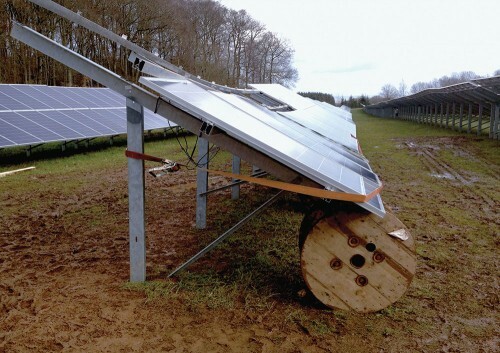 During the first 10 years in service, the chance of failure within a PV system is approximately 10%. Inverters and other electronic devices account for 85% of all those PV system failures. Only about 1 in 2000 modules will fail during their warranted 25-year life. The system components most likely to fail are the ones with complex electronic circuitry. The graph below identifies this type of equipment as Power Conditioning; it includes monitoring equipment, inverters, PV optimizers & other DC to DC conversion devices. The causes of failure are from manufacturing defects, improper installation, operating stress and accidents. The first of these is out of the control of the installation and maintenance contractors and the last of these, accidents, is usually outside of their control; the second two, improper installation and operating stress, are not. Failing Power Conditioning equipment will perform at a lower efficiency than warranted; failed equipment will stop performing its function. Failures due to improper installation and operating stress are both avoidable. Causes of these failures are: Inadequate wire terminations, undersized conductors, environmental conditions that are outside of the equipment rating, inadequate protection from surge voltage and inadequate protection from physical damage. Once the equipment is operational, an infrared camera can detect damage that is occurring from heat at the terminals and inside the equipment. Terminal temperatures should vary no more than 3°C from one to another under the same current load. The internal parts of the equipment should not exceed the max rated temperature listed by the manufacturer. If equipment is failing but still operating, the conversion efficiency can be measured by reading the (Volts x Amps) at the input and output of the equipment. The difference should be no less than the rated efficiency of the equipment. Test six months after installation and then annually thereafter. Module failures get most of the attention since they don’t usually fail completely but continue to function at a lower output; the causes of failure are numerous. A module is considered failed when one of the following occurs: Breakage, delamination, burned solder joints, browning of a PV cell due to overheating, bad bypass diode or degradation in performance beyond the warrantied percentage. These are covered by the manufacturer’s warranty; depending on the failure mode, proof of failure can be verified with a standard photograph, infrared photograph or by inspection test with a calibrated meter such as an I-V curve tracer. A module is considered failing if it performs lower than other modules of comparable design and type. An IR camera may detect hot spots on PV cells that decrease performance – an IV curve tracer can determine whether the module is operating below its warranted performance. Test with an IR camera annually, and with an I-V curve tracer for large commercial projects. The most common long-term failures are: Hot spots due to manufacturing defects in the cells, hot cells caused by high current flow in a de-energized state, potential induced degradation (PID) caused by leakage currents to earth ground, low cell conversion rate due to cracks within the cell, delamination caused by extreme heat and humidity and current loss due to shorts (shunting) between cells where the module substrate is damaged by wind and dust or other natural causes. An I-V curve tracer and an IR camera can identify most of these problems. For residential and some commercial projects module level monitoring will identify problems; it is easy to compare each module performance to the others around it. The other failure category shown in the graph is balance of system components (BOS). This is generally all the wiring, conduit, switchgear, junction boxes and module support structure. Failure is usually due to improper wire sizing or termination, galvanic corrosion with incompatible metals, materials installed in environments beyond their rating and improperly installed components. Prevention of failure includes testing conductor resistance before startup, capturing IR images at terminals when equipment is operating, measuring resistance to ground on all grounded metal parts and making a visual and torque inspection of all physical and electrical connections. Test six months after installation and then annually thereafter. The most valuable tool for inspecting PV system performance is a module level monitoring system; most new residential and small commercial projects now have this level of monitoring. The next best tool is an IR camera; since there are now IR devices that connect to smart phones this is a very affordable option. The next best tool is an AC/DC volt-amp meter. You can take readings on the input and output of any equipment and determine the loss factor for that piece of equipment. If you are working on commercial systems, you will want a conductor resistance tester to measure the conductor insulation resistance to leakage currents at the maximum operating voltage. The I-V curve tracer is unnecessary for residential and small commercial projects. They are usually required for large commercial and utility scale projects. Voltage drop (VD) is the loss of voltage in a circuit due to the resistance in the electrical circuit. To determine the amount of voltage lost in a circuit, we need to look at three parts: 1. Resistance of the conductor in Ohms (Ω), 2. The length of the circuit conductor, 3. The current flowing through the conductor. A forth component is to compare the VD to the operating voltage in the circuit to see the percent of voltage drop. The resistance of the conductor per 1000’ (Ω/kFT) can be found in Table 8 and 9 of Chapter 9 in the National Electrical Code (NEC). Table 8 is for DC and Table 9 is for AC. Divide by 1000’ to get the resistance of the conductor per foot (Ω/FT). The length of the conductor is the full circuit length; for DC and single-phase AC circuits, multiply the one-way distance by 2. For three-phase AC circuits, multiply the one-way distance by the square root of 3 (1.732). The amount of current flowing in the circuit directly affects the amount of voltage drop in the circuit; e.g. 2 amps of current will double the voltage drop of the circuit with 1 amp of current. Current is represented as intensity of current (I) in the formula. To determine the VD%, the operating voltage must be used. The operating voltage is dependent on the equipment and how it is connected. The PV source circuit voltage may be the product of modules connected in series or it may be controlled by DC-DC conversion devices and an inverter. The AC operating voltage is simply the nominal utility voltage at the premises. If you double the length of the conductor or double the operating current, the voltage drop would also double. NOTE: This calculation is accurate using current and voltage data either from the PV module Standard Test Condition (STC) or the Normal Operating Condition (NOC). 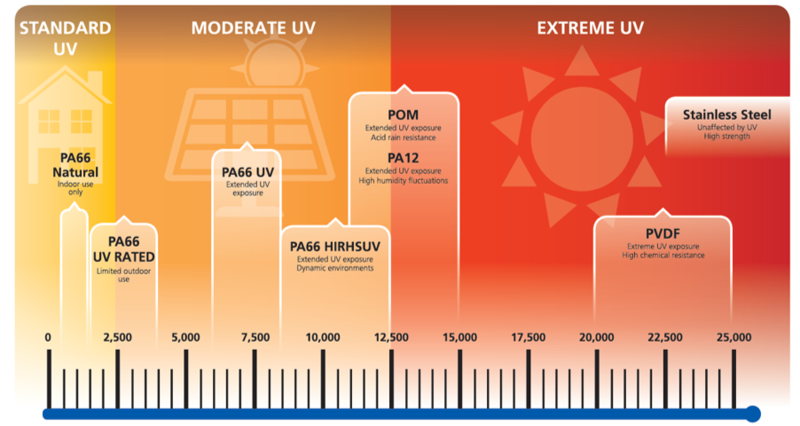 NOC test conditions represent the irradiance and cell temperature during the six critical sun-hours of the day. Both current and voltage are lower than STC. Since they are both lower, the VD% is close to the same as if you used STC current and voltage instead. The AC side of the calculation is the same as The DC example above, however it may not be as accurate since the inverter rating can be sized from 80% of the PV rating to 135% of the PV rating. This affects the average operating current and the amount of voltage drop. We typically use the inverter’s listed max operating current if the PV array is sized 125% to 135% of the inverter rating. If the inverter is rated the same as the inverter, use 80% of the listed inverter max operating current. If the inverter and PV array are the same size, multiply 25a x 80% = 20a. This reduced the VD by the same proportion. We usually consider more than 3% VD in the entire circuit (DC and AC) to be excessive. Increasing conductor size reduces the Ω/FT and reduces the voltage drop in the circuit. The voltage drop percent is a loss factor with energy production. The example above reduces the PV system production by 1.2%. One thought always present in my mind during power outages is the electrical utility linemen who are working long days, often in extreme weather conditions, to get the power back on. They possess a level of dedication and commitment that goes beyond the ordinary. When the lines go down the electrical workers step up and work heroically until everyone has power again. I for one salute them all for that effort. I enjoy the fact that I have my own PV system power when the utility power fails, but then there is the daily chore of checking and maintaining the energy storage system and backup generator. I’m always relieved when the utility power returns. I know how time-consuming it can be to generate and maintain electrical power even for one home and business. Those like me, who own grid-connected PV systems with energy storage, have a slightly different perspective about energy. The PV system with energy storage is a luxury that is rarely used because power outages are rare in most parts of the U.S. When the grid goes down for several days, the true time and commitment cost of energy becomes obvious, especially if cloud cover blocks the sun. People with PV systems who live off-grid know the time and commitment required every day. The daily chores include a fair amount of attention to maintaining the energy source(s) such as their PV system, energy storage and/or backup generator. Then there are those who own a fuel generator as a backup source of power. If the power is off for a week, they face the same problem as the person with the PV system with energy storage. The exception is that they do not have the high upfront cost; most of their cost comes from the fuel necessary to keep that generator running and it does get expensive in the long term. People who own a PV system without energy storage have their own perspective; they produce their own energy but only when the grid is up and within the limits of the utility interconnection agreement. They have no independence regarding energy, but they do appreciate the demands of generating it. When the grid goes down, they are totally dependent on the utility personnel to bring power back online. Finally, those who have no self-generation sources are basically in the same boat as those with an interactive PV system but generally have less understanding about the true time and commitment costs of energy generation. People with their own backup energy systems often have a better understanding and appreciation for the true “costs” of energy. I fall into the category of those who own PV systems with energy storage and I also possess a fuel generator to back up the solar. I prefer not to run the generator for several reasons but I’m glad to have it when the power is out and cloud cover blocks the sun for several days. I am in the solar energy industry, and a staunch solar energy advocate, but I have the highest respect for electrical utility companies and especially for the linemen who push themselves to their limits for us during power outages caused by the vast and uncontrollable power of nature. 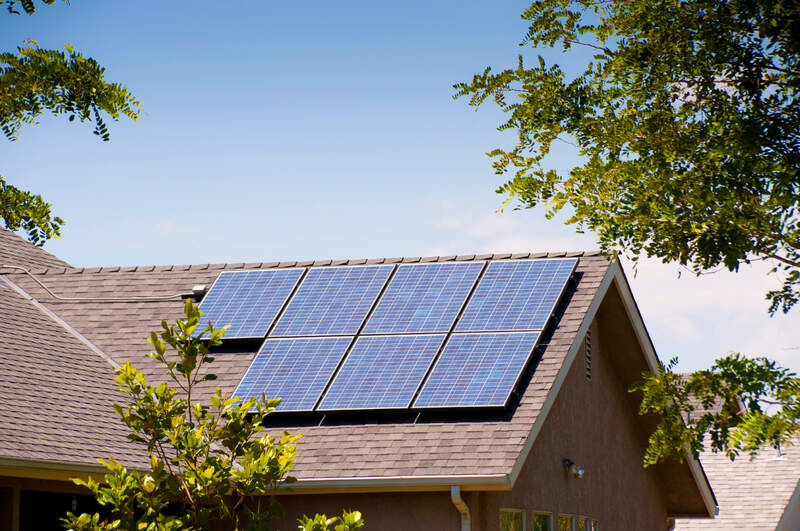 Residential Solar: Which is Best – Ownership or Community Solar? 1. 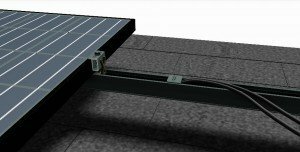 Is there room on the roof or ground for the PV array? The average 2000ft² home uses about 60kWh to 80kWh per day. To offset half of that energy a PV array would need to be 8kW to 10kW, and it would occupy an area of 600ft² to 800ft² on the ground, or it would require a roof area of 800ft² to 1000ft² due to required margins and offsets. 2. 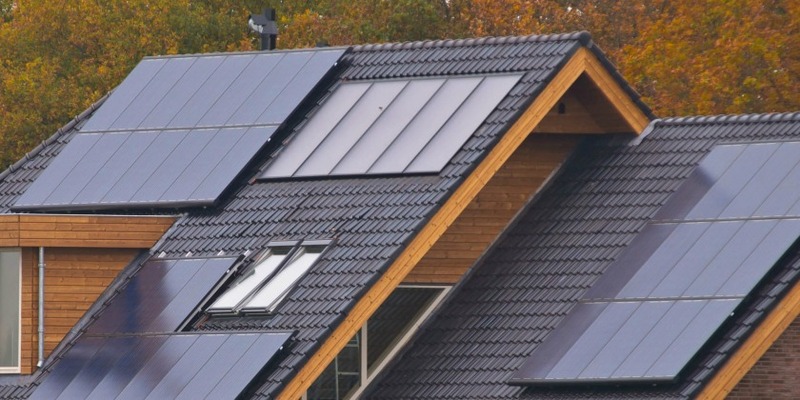 Will the PV array be a visual detriment to the home? It is possible to have the array visible and attractive with proper selection of materials, but a Homeowners’ Association could be a problem if the array is visible from the street. 3. Will it be financially beneficial? The matter of cost and return on investment (ROI). The federal tax credit provides a 30% reduction on total system cost. If you cannot take this credit, the value is diminished. If you live in a location where other incentives are in place, be sure that you qualify for those incentives. 4. The last factor is your personal reasons for owning a system. Seeing the array on your property, and knowing you’re saving energy and money on your energy bill is an important factor. Backup power is also an important motivator for owning a system, but if power is rarely lost in your area, a fuel generator may be a better option. 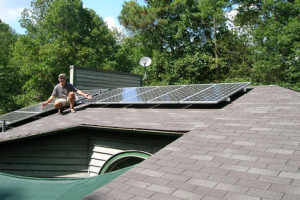 The alternative to owning a system outright may be Community Solar programs. These programs are not available in all locations but their availability is growing quickly. 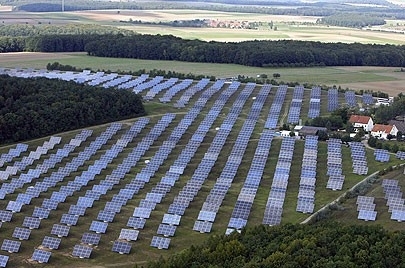 Community solar farms are usually owned by the utility company. The customer can buy power from this farm through a program offered by the utility. 1. 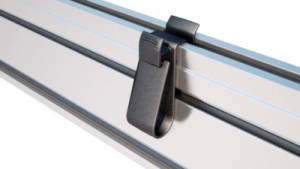 If locating an array on your home or property is a problem due to space or curb appeal restrictions, this may be a good alternative. These systems are huge and usually located within a few miles from your home. If it is a true community solar farm, there will be an area where you and your family can visit to learn about its function and performance. 2. The performance of the PV system will be maximized regarding the solar resource and the financial return on investment by the utility. This will provide the lowest cost for solar electric generation passed on to the utility customer. The future of residential solar will be a mix of individually owned PV systems with energy storage, and community solar farms. Both will enhance the viability of the grid and reduce costs of electricity during the lifespan of the PV system. You should be able to pick the one that best fits your lifestyle and goals. Photonic energy is a wave particle that travels at a speed of approximately 300,000 kilometers per second (186,000 miles per second). Almost everything reacts to this energy when contacted by it. The most common reaction is conversion to heat. Plants convert sunlight to chemical energy (complex sugar). The sugar is stored and used by the plant to live and grow. Humans have also learned how to convert the solar energy to usable energy. We convert solar energy directly into two types of energy for use. 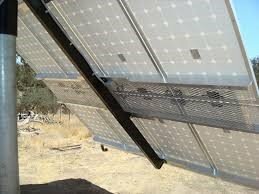 Solar thermal (heat energy) is used for hot water and steam for power generation. Photovoltaic (solar electric) energy is converted from the visible light spectrum to power electrical appliances. Solar Thermal energy can be used instantly and it can also be stored as hot water or oil in an insulated container. The storage is usually for no more than a day. This is the most efficient conversion of solar energy to usable energy although it may not be the most cost efficient method. 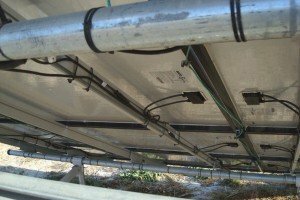 Small-scale solar thermal systems require expensive equipment to capture solar energy, convert it to thermal energy and then store it for later use. The net conversion efficiency is around 30% for the average home. The cost can be amortized over the lifetime of the system (15 – 20 years). Compared to heating water with electricity, the system reduced energy costs during the system lifetime. Compared to heating water with NG, the system may not reduce energy costs during the system lifetime. Photovoltaic energy (PV) is used instantly since electricity travels close to the speed of light, although it can be converted and stored as chemical energy. Chemical energy storage such as electrolyte batteries or hydrogen provide 24-hour usage of solar electric energy. It also adds cost to the solar electric energy system. The net conversion efficiency of the average PV system without energy storage is around 13% to 16%. 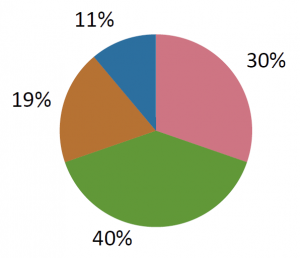 Energy storage will reduce that efficiency to 10% to 14%. 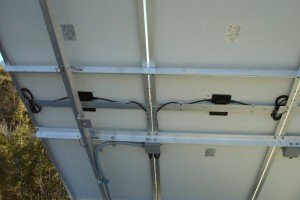 Off-grid system net conversion efficiency is under 10%. 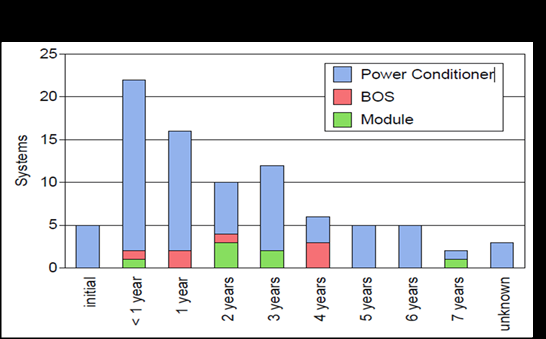 PV systems amortized over 5 to 10 years usually provide a positive return on investment. Over the life of the PV system (25 years), the return is 2x to 5x of the system cost. With energy storage added to the system cost, the lifetime return is 1.5x to 3x of the system cost. 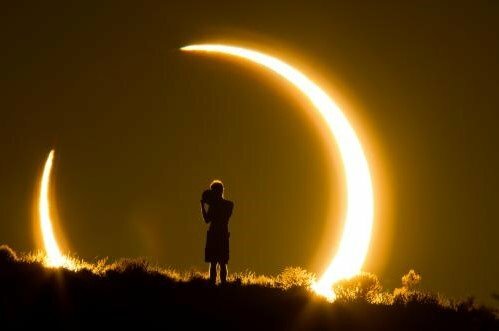 Peak solar hours occur during the six mid-day hours; this is when 80% to 90% of the photon energy is converted to electrical energy. This can be a problem for utilities if electrical energy is consumed during other hours of the day. 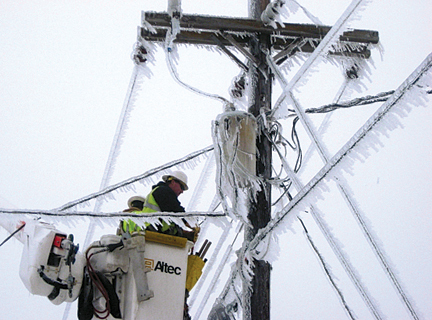 Utility companies must balance the electrical power grid and provide stable voltage to their customers. A limited amount of solar electric energy can be fed into the electrical grid without causing voltage rise and collapse (around 10% of the electrical load). Increasing the capacity far beyond the 10% limit requires converting the electrical energy to another form of storable energy. Energy storage is necessary to extend the usage of solar electric energy. Chemical energy storage (the electrolyte battery) is the most common method where electrical energy can easily be converter to and from chemical energy. The conversion efficiency is around 90% efficient. The cost of chemical energy storage is high, although several types of batteries are now on the market and prices are dropping. Charging the batteries requires hours for most technologies, although some technologies are faster than others. Residential systems are typically used for backup power when the utility power is lost. Commercial systems will use energy storage mostly for load stability and rate cost. Hydrogen energy storage (fuel cells) is a growing technology where electrical energy is used to separate hydrogen from a molecule such as water. The conversion efficiency ranges between 60% to 90% depending on the method. The net efficiency is reduced much further if the hydrogen gas is concentrated for storage. Compressed hydrogen is very portable and lightweight. Non-compressed hydrogen would require massive storage space and would be impractical as a stand-alone system. A couple of other methods of energy storage are flywheels and capacitor banks but neither have proven to be as feasible as chemical batteries or fuel cells. Correcting power factor problems: Most areas of the electrical power grid experience a lagging current because of inductive electrical loads. Solar electric inverters can correct some of that with their capacitors (capacitive loads). Peak demand: When too many heavy electrical loads occur at one time, the electrical load demand is high, and very difficult and sometimes expensive to generate and manage. Distributed solar electric generation sites provide onsite power and reduce the peak load demand. Since rain and heavy cloud coverage reduce this capacity, energy storage can be installed to work with the solar electric system to produce power on-demand. Load and cost management: Solar electric systems can be directed to produce energy during specific daylight hours when load demand is highest and/or when electrical rates are highest. Combining this with energy storage will increase the return on investment for the system owner. Micro-grids and emergency power: Some solar electric systems with energy storage will be designed with extra storage capacity. These systems can operate and produce electrical power for several days or longer. The applications identified above will allow solar electric system capacity to grow without limits.